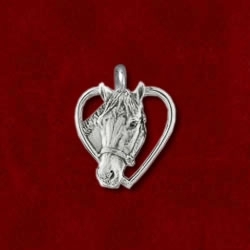 BARBARO licensed heart pendant in sterling silver on 18″ or 20″ sterling snake chain. 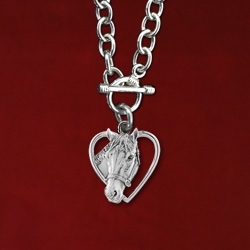 Heart measures 1 1/8″ by 1 1/8″ and has the BARBARO trademark stamp on the back. 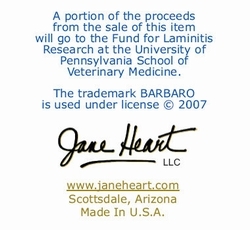 Benefits the Fund for Laminitis Research at the University of Pennsylvania School of Veterinary Medicine. 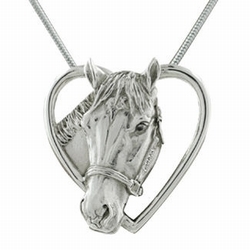 Arrives in a blue pouch and gift box with commemorative card. 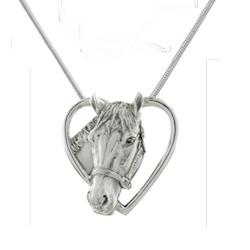 See Press Releases for the full story of this special design. 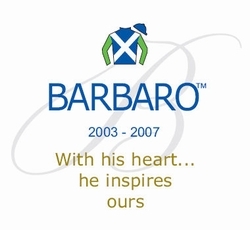 The trademark BARBARO is used under license.